My Spartan lights are not working and/or are cutting off my OEM reverse lights. Having trouble getting your spartan lights to work? Are your spartan lights not working or are they causing your OEM lights to shut off? Its rare but sometimes the trucks OEM reverse harness/control modules have issues with the added lights. By simply swapping your ground and power connection points from your reverse bulb wires to your trucks trailer harness connection you can resolve this issue. 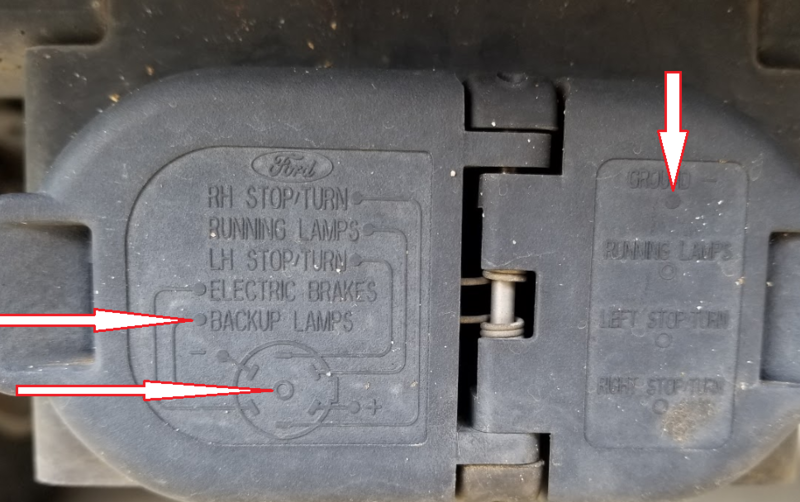 You can look at your trailer harness connector covers on the back of your truck and it will tell you which wires are for what. You can then pair that marking with the correct color wire by looking directly behind the plug. You want the ground wire for ground (black) and the reverse wire for power (red). *If you only have a simple 4 PIN connector then generally white is ground. You will still need to get power from the reverse light bulb harness for this install.